In Season 2, Episode 8 of the Very Serious Crafts Podcast—our first anniversary—we complain on the internet and end up with a podcast! 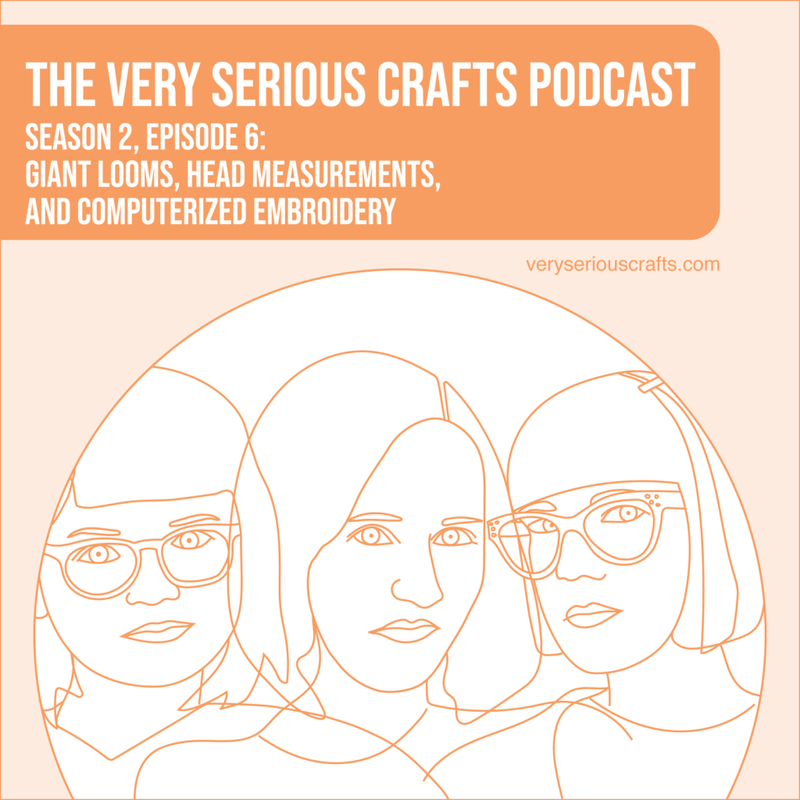 In Season 2, Episode 6 of the Very Serious Crafts Podcast, the Very Serious Crafters pull out the measuring tapes and drop the knitting needles! 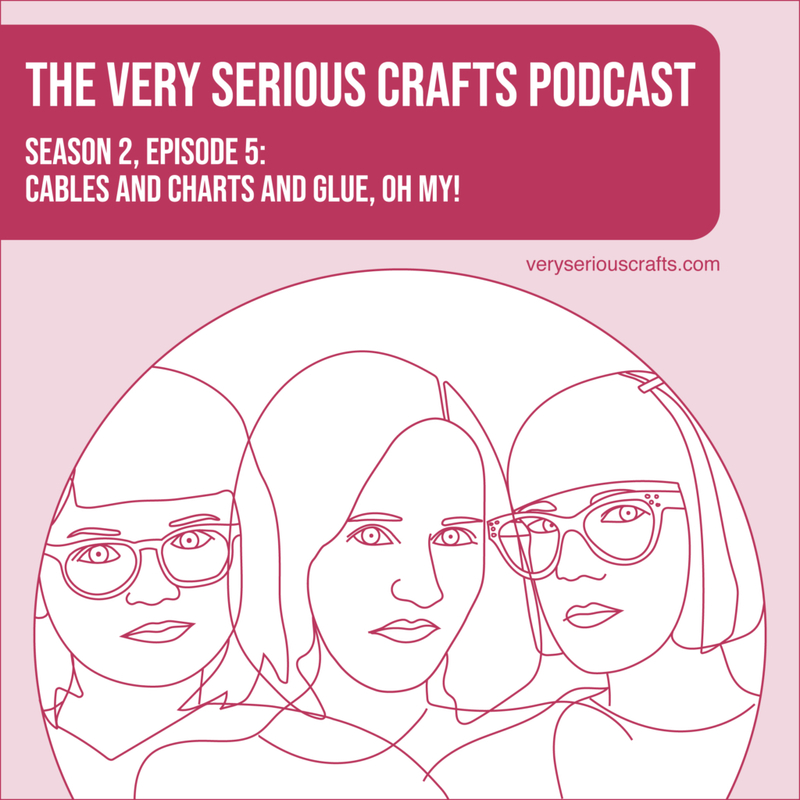 The Very Serious Crafts Podcast, Season 2: Episode 5 – Cables and Charts and Glue, Oh My! In Season 2, Episode 5 of the Very Serious Crafts Podcast, we turn into knitting robots, spoil The Wizard of Oz, and then panic about glue. Live from Chicago! 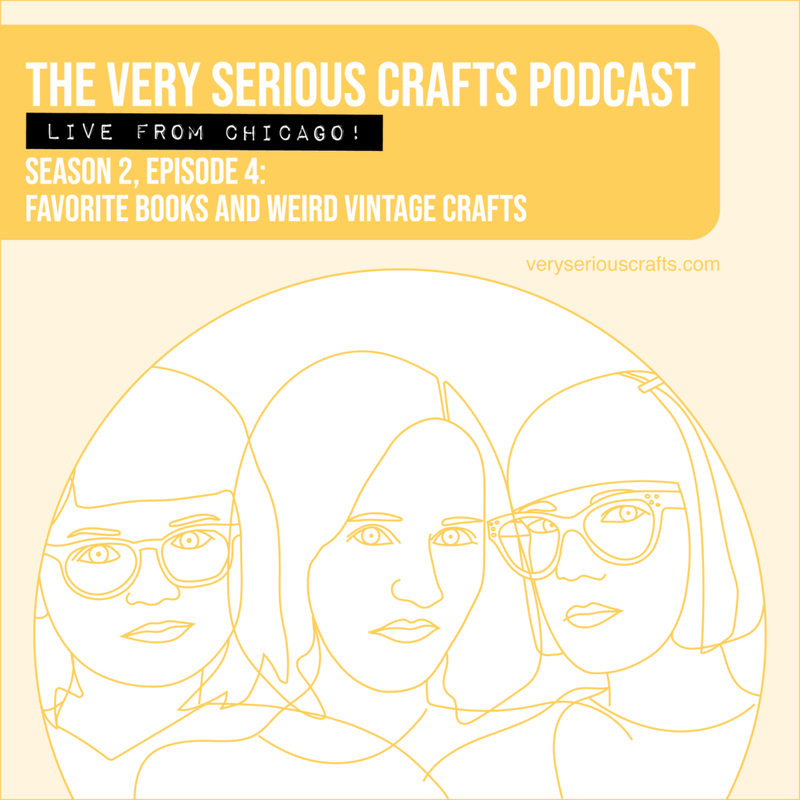 In the Very Serious Crafts Podcast, Season 2: Episode 4, the VSC gals share vintage craft oddities and the books that made them makers! In Season 2, Episode 3 of the Very Serious Crafts Podcast, love is in the air--and in the books, games, and craft supplies! In Season 2, Episode 2 of the Very Serious Crafts Podcast, Heidi gets a studio, Haley tries punch needle, and Mollie pulls out her censoring bleep. In Season 2, Episode 1 of the Very Serious Crafts Podcast gets started, Mollie, Haley, and Heidi share tales of breakin' the law craft-style.